Every year, the Yogscast – who are now more of a collection of channels, personalities, and people than a small group of YouTubers – put on a series of streams for the Yogscast Jingle Jam, an event to raise money for a number of charities. 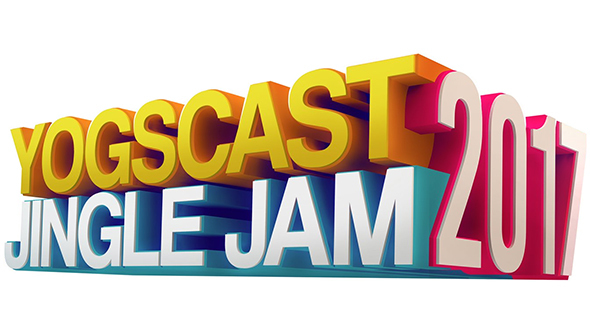 In collaboration with Humble Bundle, this year the Yogscast Jingle Jam raised over $5 million for seven charities, bringing the collective total over the last six years to over $11 million. In case you want to stream something now, our list of the best PC games ever might have something for you to play. In collaboration with Humble Bundle, the Humble Bundle Yogscast collection offered more than 60 games from over 50 developers and publishers if people donated $35 (£26) or more to a charity of their choice. Over 3000 charities could be donated to, but Wallace and Gromit’s Grand Appeal, Special Effect, the Whale and Dolphin Conservation, the Mental Health Foundation, Save the Children, Cancer Research and the International Lesbian, Gay, BIsexual and Intersex Association were pre-selected as default options. Overall, $5,245,772 was raised through December, and members of the Yogscast streamed for a total of 700 hours throughout the event. The bundle of games is no longer available, but in total over 148,000 bundles were sold, and 100% of the proceeds went to charities. Simon Lane, Lewis Brindley, and Mark Turpin celebrated hitting the $5 million mark on the main Yogscast YouTube channel, which you can watch below. Congratulations to all involved!